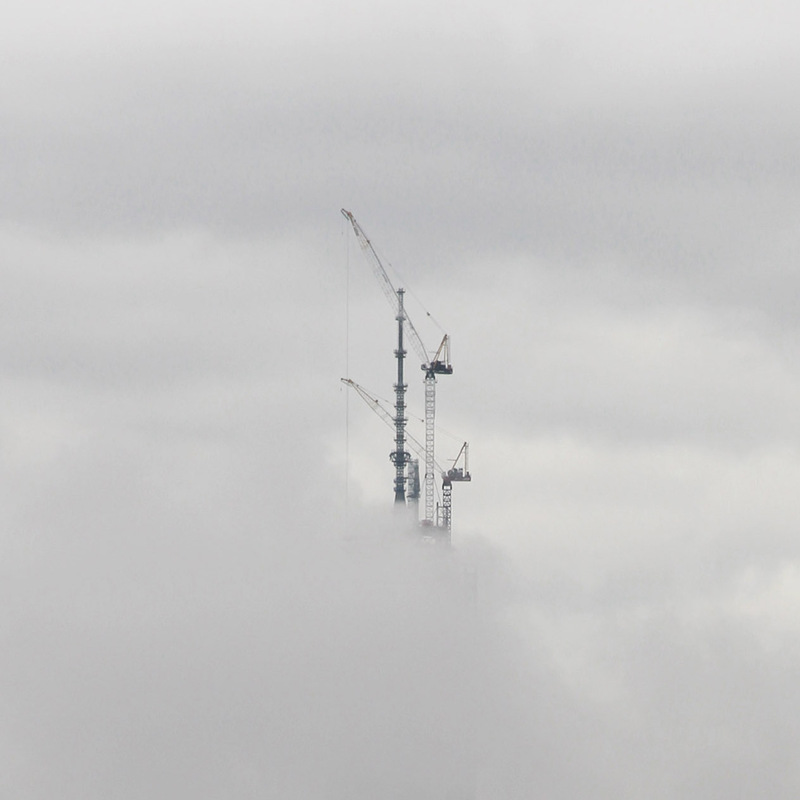 When I walked out to get breakfast this morning, clouds had obscured all but the topmost workings of the 1 World Trade Center site, visible through our living room window—a strange vision of machines, pulleys, cranes, and gears sort of hovering in the sky, like something out of Archigram by way of Hayao Miyazaki. Always a great pleasure to read the texts and ideas of you and Nicole Twilley! Hey Volker – I'm actually hitting the road myself for most of the summer, so I will not be in NYC, but I will send you an email and perhaps we can at least talk by phone. Enjoy your travels! And thanks for getting in touch.